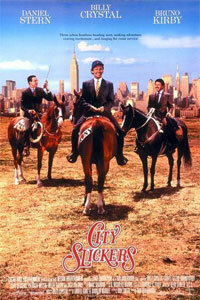 Mitch Robbins (Billy Crystal) is a middle aged big-city radio ads salesman. 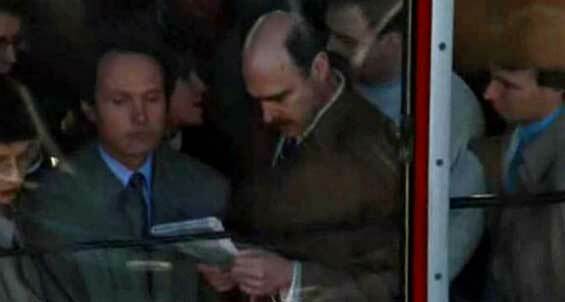 He and his friends Ed Furillo (Bruno Kirby) and Phil Berquist (Daniel Stern) are having mid-life crisis. They decide the best birthday gift is to go on a two week holiday in the wild west driving cattle from New Mexico to Colorado. There they meet cowboy Curly who not only teaches them how to become real cowboys, but also one or two other things about life in the open air of the west. The Tramway connects Roosevelt Island to Manhattan Island. 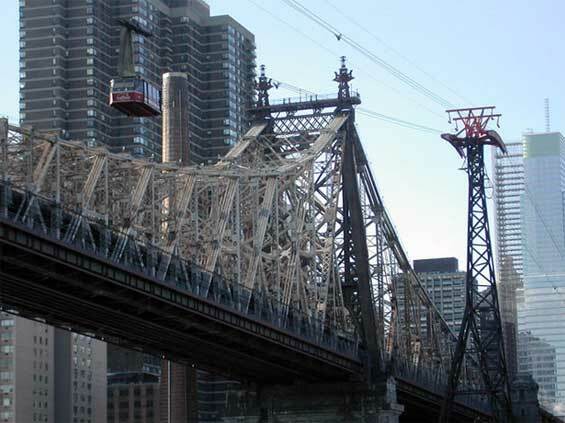 The Roosevelt Island Tramway is an aerial tramway in New York City that spans the East River and connects Roosevelt Island to Manhattan. Prior to the completion of the Mississippi Aerial River Transit in May 1984 and the Portland Aerial Tram in December 2006, it was the only commuter aerial tramway in North America. Over 26 million passengers have used the tram since it began operation in 1976. Each cabin has a capacity of up to 125 people and makes approximately 115 trips per day. The tram moves at about 16 mph (26 km/h) and travels 3,100 feet (940 m) in 4.5 minutes. 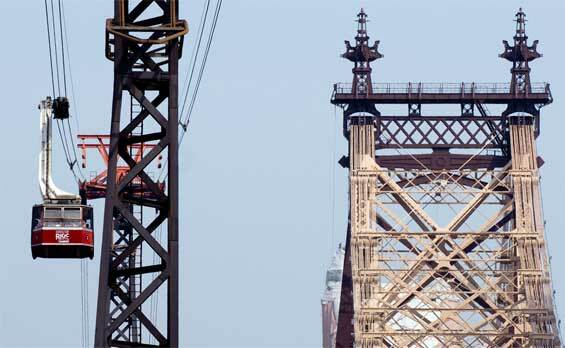 At its peak it climbs to 250 feet (76 m) above the East River as it follows its route on the north side of the Queensboro Bridge, providing views of the East Side of midtown Manhattan. Two cabins make the run at fifteen minute intervals from 6:00 a.m. to 2:30 a.m. (3:30 a.m. on weekends) and continuously during rush hours. It is one of the few forms of mass transit in New York City not run by the Metropolitan Transportation Authority, but uses that system's MetroCard. 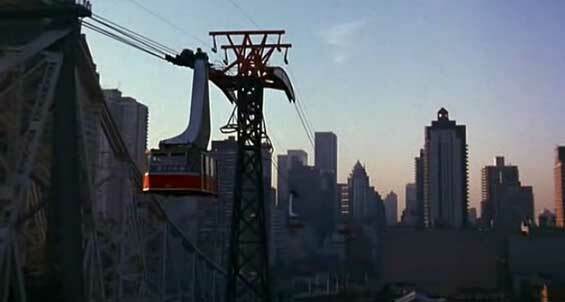 The tramway was featured prominently in a climactic battle in the 2002 film Spider-Man, in which the Green Goblin throws Mary Jane off of the Queensboro Bridge and Spider-Man must choose btw saving her or passengers on the Roosevelt Island Tramway. 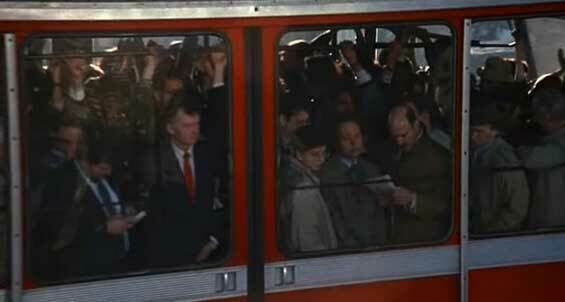 The Spider-Man film was not the first appearance of the tramway; The House on the Edge of the Park (1980) shows the tram at 6:07 minutes into the film as how it appeared in the late 1970s. 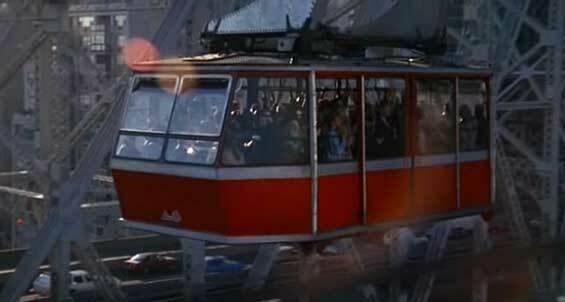 The Sylvester Stallone thriller Nighthawks (1981) depicted the tramway as a terrorist target where United Nations delegates were taken hostage. In the 1994 film Léon (The Professional) it can be seen when Natalie Portman's character, Mathilda, is traveling on it alone. It also appeared in the 2005 horror movie Dark Water. In the comic Kingdom Come, the climactic battle of Volume 1 takes place on and around a similar system in downtown Metropolis.